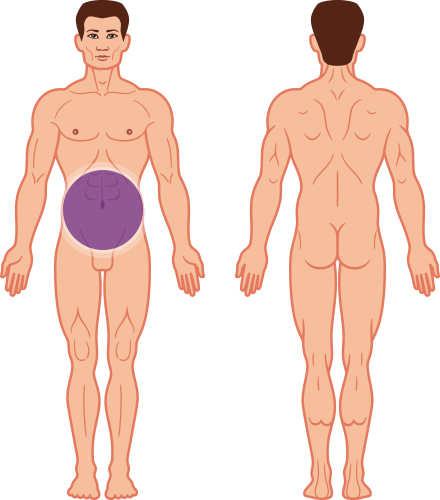 Liposuction can be very effective in shaping the abdominal area in men. The lower abdomen in particular tends to be resistant to diet and exercise, making even the most fit and active individuals insecure about their appearance. The lower abdominal area is able to be targeted with liposuction where even large tummy aprons can undergo a significant reduction. The upper abdomen can contain fat deposits that are under the muscles, inside the belly, and thus not treatable with liposuction. Our Consultant will be able to advise you if your upper abdomen is treatable.